We are dedicated to quality and has earned us “dock to stock” status. 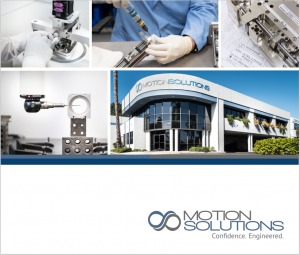 Get to know Motion Solutions! Download our company brochure. Your customers depend on the quality of your products, and you depend upon ours. 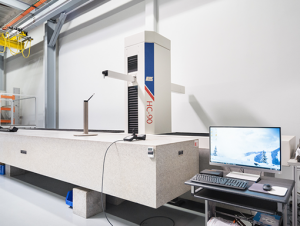 That’s why at Motion Solutions, everything we sell undergoes rigorous testing before it leaves our shipping dock. That holds for the products we distribute as well as the systems and subassemblies we build from scratch. 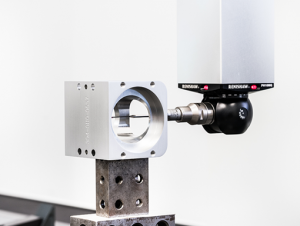 Testing and inspection begins with the components and finishes with system-level testing of the final product. In our engineered solutions department, the customer participates in developing the QA process and is informed at every step. We work with them at the prototype stage to determine what acceptance testing will encompass. We develop an inspection procedure and checklist to be used by our assembly technicians. Every single unit gets tested to that protocol at each step of the manufacturing process, and is shipped with a copy of its inspection sheet. 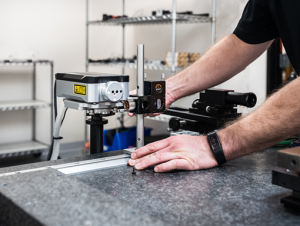 In addition to our test and QA labs, we have test and inspection equipment distributed throughout our manufacturing floor. At each station, technicians have the instruments they need close at hand to ensure that the item in process does not advance it until it has been demonstrated to meet spec. This is how we ensure that our final testing is just a formality. Our commitment to quality goes far beyond the doors of the QA department. We have a very high employee retention rate, which has led to a staff with the strong skill sets and deep knowledge that are essential for quality production. We ensure that every person in our engineering and assembly departments understands not only the processes, standards, and specifications but also the larger picture. An assembly technician mounting a part on a bearing is following a procedure. An assembly tech who knows that part belongs to a medical biopsy robot understands that the work he or she is doing can save lives. This creates a much higher commitment to meeting standards than a sheet of directions on connecting wires and screwing in screws. As an organization, we are dedicated to quality. We build it into our process, our employee training, and every product we touch. This combination of factors has earned us “dock to stock” status with many of our customers. For the Motion Solutions organization, quality is a process, not an activity. 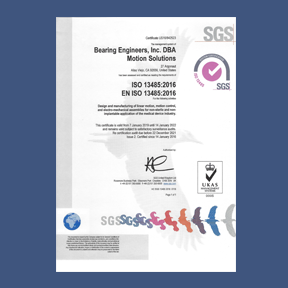 To establish and maintain best practices, we have certified our Aliso Viejo, California facility to ISO 13485. ISO 13485 is a specialized standard that codifies best practices for the design and manufacture of medical devices. With this certification, we have the processes and tools in place to help medical device OEMs realize their visions, achieve FDA approval, and improve the lives of patients. ISO certification isn’t just a box to check off, though. It is an ongoing commitment for our organization. It drives our process. It is an essential tool to assist with our continuous improvement. We were proud to achieve ISO certification but we are more proud to maintain it, from the moment the lights go on in the morning until they are shut off at night.